I appreciate the variety of "yard art" we have in Downey. 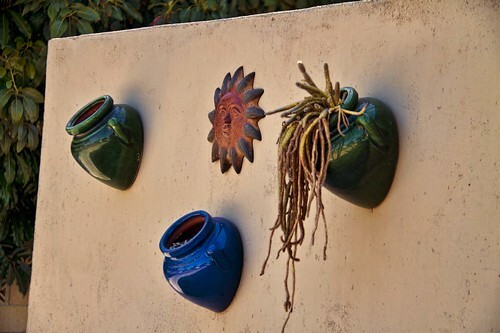 This is a wall in our neighborhood that has been decorated in pottery. I think it rocks!